When someone says must have it is a fairly bold statement, but when I was deciding how best to word the title for this piece it was really all I could come up with. While this list is 100% subjective to what I feel their next home console must have, I firmly believe by the end of it a lot of you will be shaking your head in agreement. If not, I am curious as to why, and what you would do differently. Remember, this isn’t a top 10 list, thus the order is entirely arbitrary. 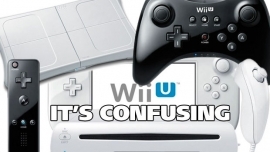 I’m talking strictly with the Wii U itself and strictly in terms of software. With the Wii U we were introduced to the Nintendo Network ID, which to me tells me they have their platforms sort of in sync for future home consoles. As an example, the Wii mode on the Wii U is basically running a Wii inside a Wii U. The next console will much more likely be able to run Wii U games natively from day one – thus true backwards compatibility. It also gives folks who skipped the Wii U (which is admittedly a lot of people) a bigger reason to grab the next system. It already has a great back library that many might have missed. Do you want to play all of your old Wii U games in 1080p, maybe even 60 fps? Well, instead of offering remastered versions of Wii U titles, they could charge a small fee (say, $5) for folks to optionally upgrade their game on the new system. This would be akin to texture pack upgrades we see on PC at times. These content patches would push the game to full resolution and better frame rate. Optional of course, since you do already own the title for Wii U. This only works of course if Nintendo has full backwards compatibility, which I believe they likely will. You don’t want to be just matching the PlayStation 4’s raw processing power, you want to exceed it. You also want your console to be affordable. Pulling a Wii U again likely won’t do it, but say instead of 8GB of GDDR5 RAM you give us 12. You give us a decent upgrade for GPU and CPU. It may not match whatever the PlayStation 5 becomes, but it should theoretically keep you close enough to warrant ports – a big deterrent for the current system. If you have achievements and affordable and capable hardware, it will simply lessen the barrier for everyone else. Nintendo is, ultimately, going to do something to the controller. 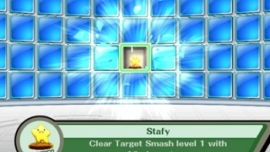 I don’t know what that something is, but while Nintendo supports so many different control inputs, the only real way to make use of the best ones is to make sure everyone has at least one of them. Maybe one of them is still a GamePad style controller that they make additions and improvements too. Maybe they do something crazy – the controller is also a handheld that can interact with the Wii U wireless across the world (like a Vita to PS4, only better… somehow). Yet, traditional gamers, even on PC, like a standard controller. Make some improvements to the Wii U pro controller and pack it in. Now 3rd parties (and Nintendo games) don’t inherently have to develop games with x controller in mind. They too have options. Options are good for them and us. Yes, you need to take down barriers, but don’t let publishers overcommit to your console and then back out. What you did with Sega is a prime example of what you could do in the future. Do you want Assassin’s Creed and other titles on your new hardware but worry they may not support it much after launch? Lock down long term contract deals where you toss a small amount of cash assets for each title to ensure support. I’m talking small – not enough to really break bank, but enough to make them want to put the effort in. EA talking about an unprecedented partnership is the stuff I am talking about here. Don’t let them make you promises and then back out. Get it in writing. Get a contract in place. This will ensure support for at least a certain number of years. 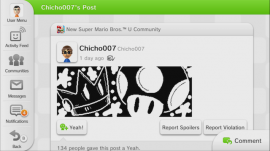 Miiverse is brilliant. It’s clear you are going to keep using this in the future. I love what it allows you to do. Create more apps like that and keep the system clearly friendly to all, rather than me worry I will boot it up and see rated R material out the gate (unless I specifically tell the system to do so). However, some policies do need to be loosened. I can’t mention on Miiverse that I am from Zelda Informer. I can’t link to my site in my public profile (I do, but it’s only a matter of time before I am warned/temporarily banned for it). Basically, gamers like to identify themselves at times. Allow us to do so. Make us agree to some silly thing where we are taking full responsibility for what happens by doing so. Game Developers get some clarity, let journalists and even regular users get to personalize themselves and their profile. In-game voice a chat? A must. Easy to use friends list? Yes. Special promotions, deals, free game giveaways? Definitely. Heck, make it so Club Nintendo can be used within the system if you want to use that for free game promos. Why offer it for free when others charge? Because unlike them you don’t have a preexisting base of users that are willing to pay a fee and you want to keep the console accessible. Like it or not, those fees require credit cards and 18+ folks. Okay, they don’t, but either way, it is simply better to allow your users to have all of this for nothing. It helps solidify your message that you’re not about nickel and diming consumers, but providing the best possible video game experience you can. Heck, you can innovate and improve current ideals – but keep it all free. Its part of what makes you special as is. It’s not about taking money or getting subscriptions; it’s just about playing games. What do you think? Agree, disagree? Have things you would like to see for yourself? Let us know down below!